I rarely wear pants to work. 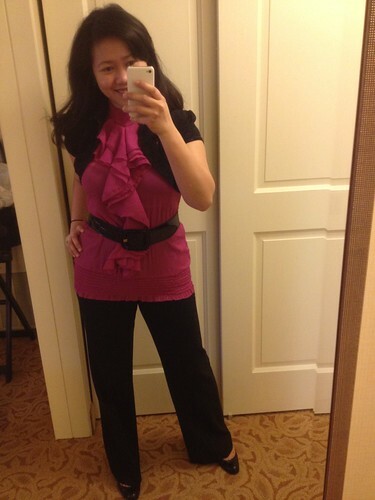 My formula for office uniform has always been: sheath dress + belt + pumps. I feel like it's most flattering for my figure. On the rare occasion that I do wear pants, my teammates always take notice. They say I look taller and covered-up. I took it as a compliment, I hope they meant it to be that way! And here it is for real -- sans flower belt! My twin (from another set of parents :-) has been my most recent convert into the world of smart investing. And by smart investing, I mean purchasing fabulous handbags. I know, I know! I'm such a bad friend --- coz it took me this long to activate her! Friends don't let friends make bad "investments". To make up for my shortcoming, I volunteered to style her newest acquisitions. 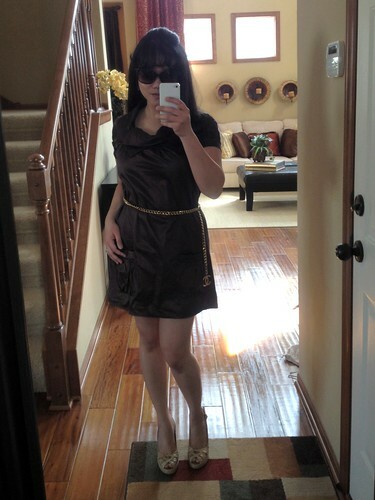 It was so fun styling her LV speedy, LV neverfull and Anne Klein sheath! Immediately, I came up with 6 looks.. and that's just for summer! 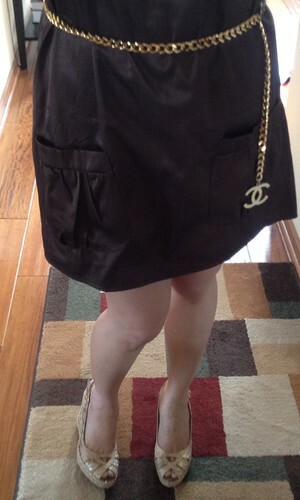 T hanks to Pinterest and Polyvore, I have now discovered a faster way to plan my outfits! Mother nature has been so fickle-minded lately. We had a spring-like winter, a summer-like early spring and now, a winter-like late spring. The only thing I can do is dress accordingly -- with a short sleeve that says spring, a turtle neck that says fall and a tall boots that says winter. We had a spring-like winter, a summer-like early spring and now, a fall-like late spring. Eight More and I'm Back! Between traveling for work and trips to the gym --- for zumba, yoga and running, I barely have any time and energy left for anything else. Blogging and shopping have taken a back seat lately. Well, more like I shoved them in the trunk and ignored them there because it's been almost a year since I was active here. But I'm making good progress with my workout and just have 8 lbs left to go! 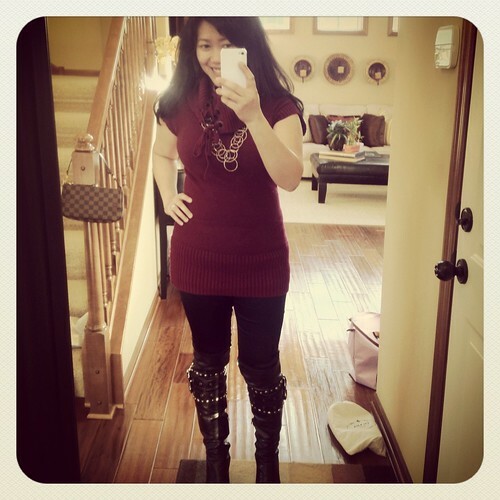 Once I reach my ideal weight again, and fit into my old clothes again, I should have more time to go back to blogging. Meanwhile, here's a quick outfit post. I wore this a few weeks back to a friend's party.